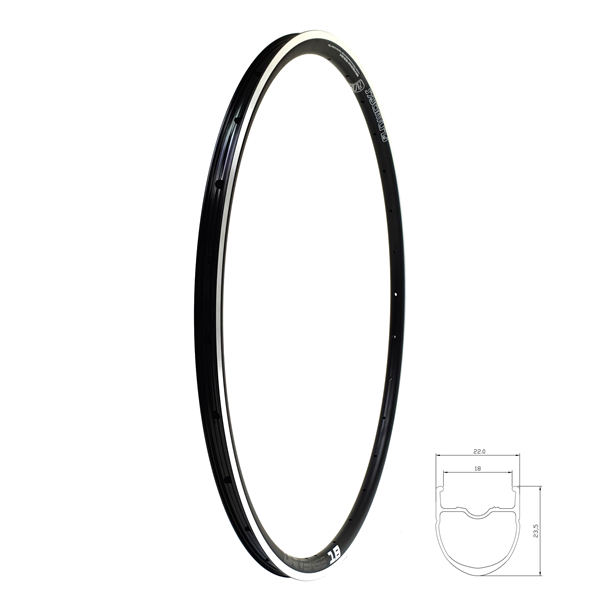 Product information "Fun Works Universe 18 RB black 24H"
The modern aluminium rim for competition cyclists, climbers and weight watchers. The Universe 18 is superfast rim, but at the same time, offering stiffness and an internal bead width of 18mm. This will give a tyre stiffer side walls on a descent and an optimized rounded profile for better cornering.The low weight lets you climb mountains easily and the large CNC machined braking surface gives you safety on the steepest descents. Related links to "Fun Works Universe 18 RB black 24H"
Customer evaluation for "Fun Works Universe 18 RB black 24H"